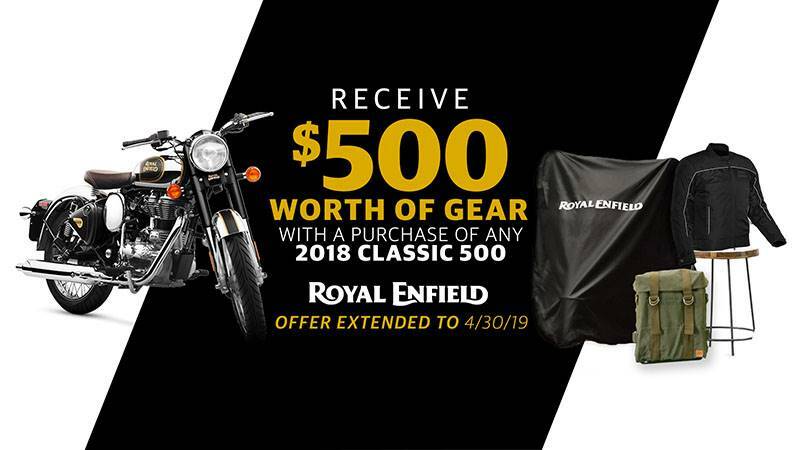 After completing your purchase of a 2018 Classic 500, go to ROYALENFIELDNA.COM/ROYAL-REBATE to fill out the claim form in order to receive your free merchandise. Note you will need to provide an image of your receipt for proof of purchase. Once you have completed the form, it will be submitted for fulfillment. See your local dealer for complete details including any applicable disclaimers or exclusions.